An auditor was examining the balance sheet of a mining company that had just bought a sheep station in the Pilbara area of Western Australia. The reason for the purchase was partly for the thousands of acres that the station covered and partly for the thousands of sheep that ranged over those thousands of acres. 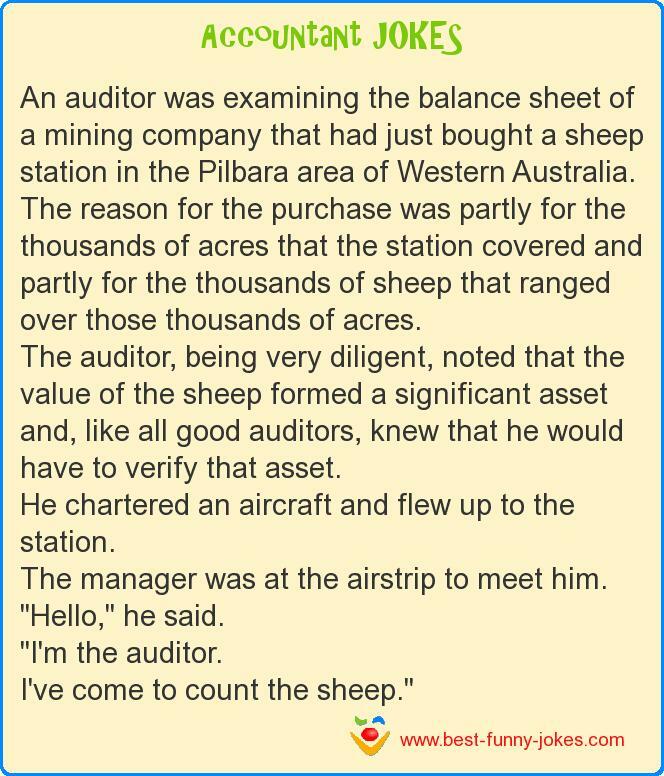 The auditor, being very diligent, noted that the value of the sheep formed a significant asset and, like all good auditors, knew that he would have to verify that asset. He chartered an aircraft and flew up to the station. The manager was at the airstrip to meet him. I've come to count the sheep."